We love Sony. We really do. And we want them to get back in the game, because competition makes everyone better. Here's how they do it. There was a time when I might have suggested that Sony jettison its media companies, setting music and movies adrift so that the electronics divisions would no longer have to be held hostage by internal squabbles over piracy. I've come around. While Sony Pictures has had its ups and downs over the last decade, the addition of the movie and television libraries gives Sony a strength that none of the other Big Four have—if they can loosen up. Microsoft has games and Office; Apple sells a lot of music, but owns no content beyond software; Google has YouTube and user-generated content, but creates little professional content of its own. In this space Sony stands alone, with a rich library of music, television, movies, and games. Imagine if buying a Sony product gave you simple, inexpensive access to that vast archive. Not even for free, necessarily. (Although Sony should continue to be liberal with its media giveaways, like it did when launching the PSP, bundling Spider-Man on UMD.) But all of it at your fingertips with an ease-of-use that put its competitors to shame. In theory this is the aim of the upcoming Sony Online Service. (The "S.O.S." name is temporary, if apropos.) Sony has discussed plans to translate the moderately successful PlayStation Network into a cross-device infrastructure, allowing not just media downloads but media uploads, taking not only a shot at iTunes but at cloud services like Flickr and Picasa. That's fine and dandy in theory—but why would a user choose Sony, a company that has launched and then quickly abandoned several other media stores and sharing services in the past? When they closed the Connect store, they stranded customers who had bought into their proprietary ATRAC-based DRM. When ImageStation went bust, they migrated people to Shutterfly and cited "many capable online photo services" as a reason for the closure. Why start investing dollars and time and work and memories in a company that just five years ago allowed rootkits to be installed to protect the sanctity of its media? There's a trust issue at play, perhaps bigger than Sony realizes, as its halting and horrible missteps have made many potential customers leery of its commitment. Lucky for Sony, there's a new age dawning in media, one based heavily in the cloud, with subscriptions taking the place of media downloads—especially in video, where customers have yet to invest heavily in pay-per-download models simply due to prohibitive costs and the infinite format war. Sony should send the Online Service into the world with a bang: open access to Sony's media library free for a month. Or three. Take the write-down as a marketing expense, allow millions of users free access to the media that Sony controls, and use the media—not the hardware—as a loss leader to get people hooked on Sony again. A comprehensive and liberal attitude towards online media would go a long way towards shoring up Sony's more traditional media sales strategy, as well. Blu-ray, after a long and costly battle, has finally won—just as download and streaming content is taking hold in the video space. Buying a Blu-ray disc currently guarantees me access to the video on many non-Sony devices—why not give me access to that same movie on all of my Sony products? I bought Ghostbusters on Blu-ray—now let me watch it whenever I like on whatever Sony device I choose just by grabbing it from the cloud. That would certainly make me more eager to spend money on physical copies. There is hope, and its name is Android. At first it might seem counterintuitive to suggest that Sony lean heavily on a product under the aegis of a company that by all rights should be a chief competitor. But for all its not-quite-actually-open-source issues, Android exists primarily so that Google can be insulated from Apple and Microsoft—the two companies that most threaten Sony, as well. In this case, the enemy of Sony's enemy could be their friend—especially when Google isn't interested in providing a full range of consumer products that use Android. It wouldn't be the first time that Sony used a competitor's software: The entirety of the Vaio PC line runs Microsoft Windows, and its Sony Ericsson phones run Nokia's Symbian OS or—oh look!—Android. And in this case, Google's weakness is Sony's strength: great hardware. And adopting Android across all its devices would do nothing to impede Sony's own platform goals. In fact, that a Sony-branded Android device could have access to the broad range of Android applications as well as Sony's Online Service and media offerings would do much to set Sony apart from the glut of also-rans that make up much of the current non-phone Android marketplace. Sony Ericsson's products are late, underpowered, designed by madmen and utterly irrelevant. Worse, the company is helmed by a man too proud to make a flagship phone with Google. Fire him. Rescue the engineers. Let the rest of the company burn. This business has changed. There are no phones anymore. There are simply things that also phone. That there is not a PSP Phone in my hands right now is a travesty, one surely due entirely to the fact that Sony is entangled in a bizarre partnership with a European company trying to make phones that appeal to a feature phone market that started to go away a decade ago. Sony Ericsson is a stone around Sony's neck and should be cut free as soon as possible. Telephony and mobile data are an intrinsic part of the electronic landscape. Even if a modern phone is really only a radio and a bit of software, it's too important to be anywhere but in-house—and increasingly, in every product. Another fantastic man-on-the-street piece from Woody Jang about what regular consumers think of Sony's future. If you ask the average person on the street what their favorite Sony product is, more often than not you'll hear "PlayStation". There's a couple of reasons for that—not the least of which is that it's the last Sony product to completely stand apart from its competitors. It's a valuable and—when executed correctly—profitable brand. As for the hardware itself, the PlayStation 3 is powerful. So why is it so half-assed? Why is it that I can spend hundreds of dollars on a PlayStation 3 and still not use it as a DVR? Or as a powerful, slick media center to access my media files? (You can do it, yes, but it's no Boxee or Plex.) Why does Sony sell any other Blu-ray players at all? The PlayStation of the last few years is battered, but not broken. Half-hearted and poorly conceived projects like PlayStation Home have shown how disconnected Sony is from its users, but the device, brand, and platform still have a lot to give. Sony is trying. Netflix has come to the PS3, if somewhat awkwardly. But accessing files on the network still takes a UPnP server and other bits of annoying acronymic magic that makes my $350 console from a multi-billion dollar company feel gimpy and half-baked. In the portable space, it's ever worse: I don't know a single person who bought a PSPgo. And why would they? It was clear from the outset that the PSPgo was a toe in the water of the digital-distribution stream, not the sort of cannonball into online game downloads that is already being explored to profitable depths by Apple. But a PSP phone? A nicely designed portable device that has access to the library of amazing PSP titles, plus all the movies, music, and (hopefully Android) apps that Sony could provide? They'd sell a million on Day One, and have developers banging down their doors to let them create the beautiful 3D titles that the PSP is known for. Thank goodness there are rumors that a PlayStation phone is happening—but Sony has made similar sashays before, only to jilt us later. We've shown the absolutely monstrous number of products Sony has for sale (to US consumers) at any given time. To some extent it's understandable, if not forgivable. It's one of the strengths of megacorps to be able to shotgun lots of products onto the market to see what sticks, and diversification has been part of the Sony strategy for decades. But it's gotten out of hand—and worse, it's turned Sony into a company that has stopped saying "Look what we've invented," to instead murmur, "We can do that, too." But Sony is spitting out products that even they don't believe in. The Mylo internet communicator? The Vaio P netbook? The PSPgo? The Sony Dash? The UX Series UMPC micro whatever-the-hell? A three-thousand dollar 2-megapixel Qualia camera? Those aren't all dead products—yet. But Sony, by spewing out products that are clearly part of no greater strategy than "Let's see what sticks" has eroded the value of their brand and the trust that customers should be able to put in it. Except for the robots! While I'll rail all day about how Sony has overwhelmed us with pointless or half-baked products, I have to admit: I miss the robots. I miss the strange little contraptions, the oh-so-Japanese experiments that clearly have no place in the greater company strategy, but exist only to show off the prowess of Sony's engineers. Is the Sony Rolly absolutely silly and overpriced? Of course it is. But if Sony were selling just a couple of dozen products that really nailed it, the Rolly would stop serving as an all-too-fitting icon of Sony's directionless and instead take its place as a whirring, cooing, flashing reminder that Sony plays in the future. Really, though: robot dogs! How are we supposed to believe in Sony if they don't believe in Aibo! Once upon time, you bought Sony because "Sony" actually meant "the best." It's that reputation of quality that Sony's largely coasted on (and ridden roughshod over) for the last decade. Sony simply needs to make the best gadgets again. Take its TVs for example, a core product where Sony is a brand that immediately comes to mind: The Bravia XBR8 is quite possibly the best LCD television ever created. Sony stopped making it last year. The products that followed it, the XBR9 and XBR10, are actually inferior products, despite costing just as much. We actually expected the XBR8 to spawn many better and less expensive TVs, not the opposite. That's the death of the Sony brand. If Sony means nothing else, it should mean the best gadgetry you can buy. The XBR11 needs to be the greatest LCD TV ever made. Sony is lost. Too entranced by their own mythos to make the hard decisions. Too ready to listen to the Madison Avenue hucksters who convince them that "make.believe" means anything at all. 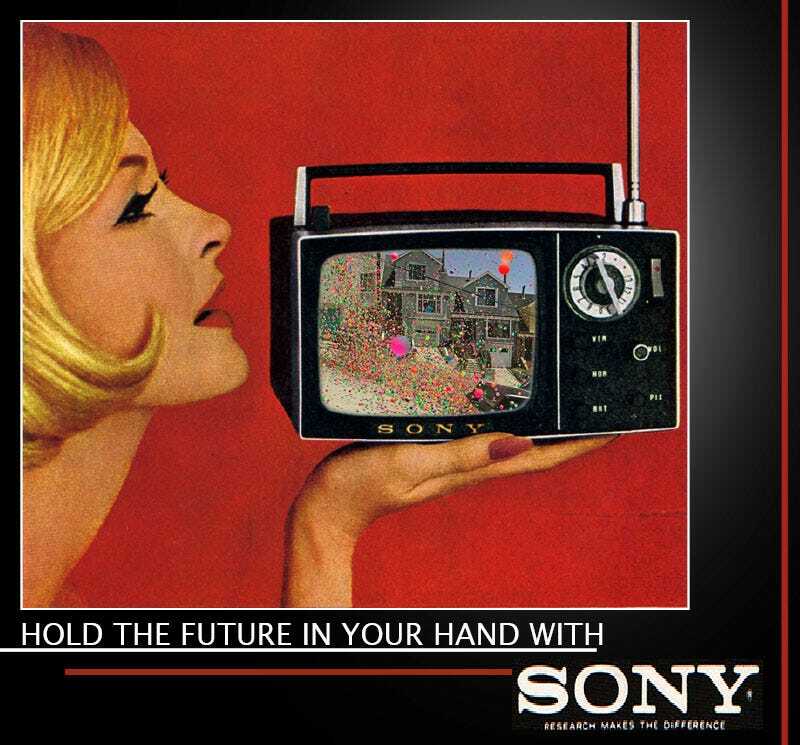 Let&apos;s Make.Believe Sony Ads Make Sense! We believe in a Sony that can practice restraint, that can encourage its engineers to dream and innovate, but also can understand that not every crazy accomplishment needs to be validated by becoming a product for sale.